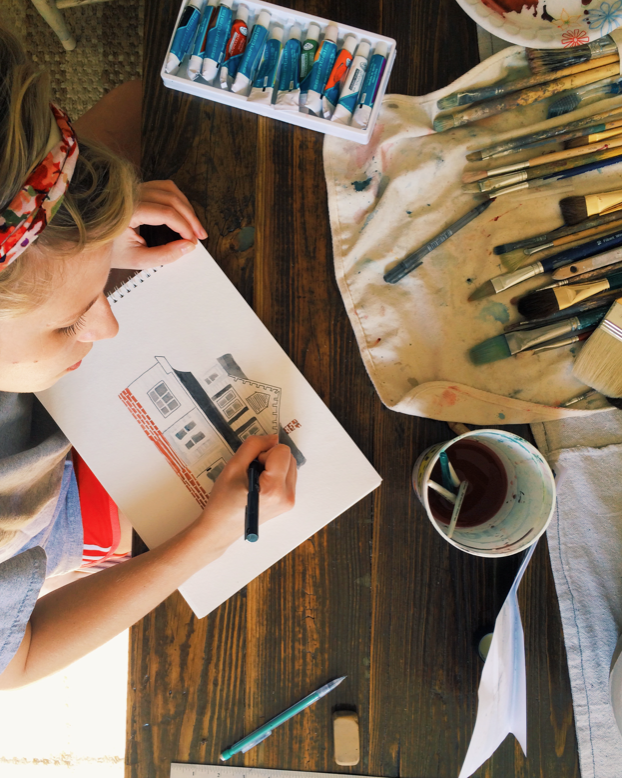 I was inspired by the artwork of Rebekka Seale back in 2012 when we moved into our house. 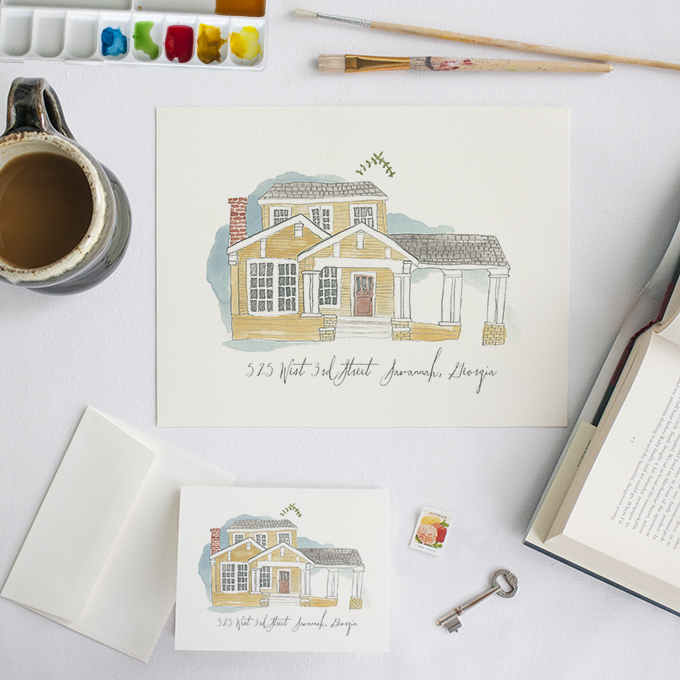 I contacted her about commissioning one of her quirky little house portraits, but felt deflated when I learned there was a 6 month wait. I figured, “I have a degree in fine art. 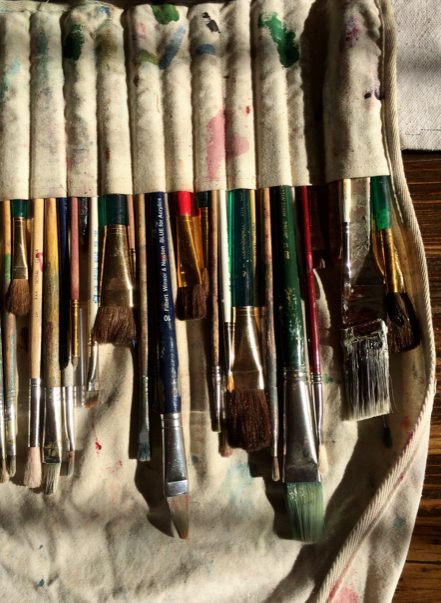 Surely I can make something cool.” I got out my watercolor paints and the old paintbrush set that Ben gave me as a sort of poor boy’s betrothal in the early months of our relationship. It’s now been a couple of years, and people still ask me about that portrait when they see it in our dining room. 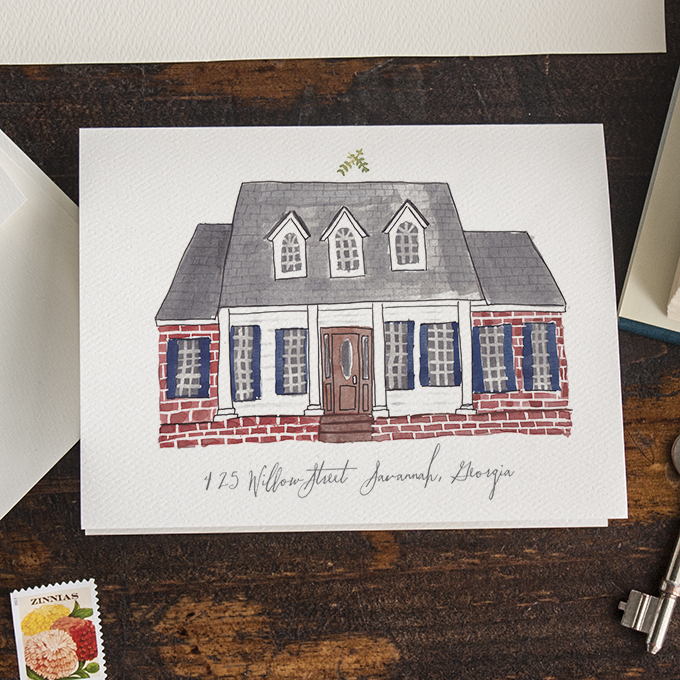 Recently, I made some notecards of the house and then my best friend, Mallorie requested some of hers, too. I referred her to Rebekka, but found that she’s completely retired from illustrating in pursuit of her new business, Camellia Fiber Co. I reached out to her to first get her blessing, and I was tickled to learn that she’s such an incredibly warm and friendly person. 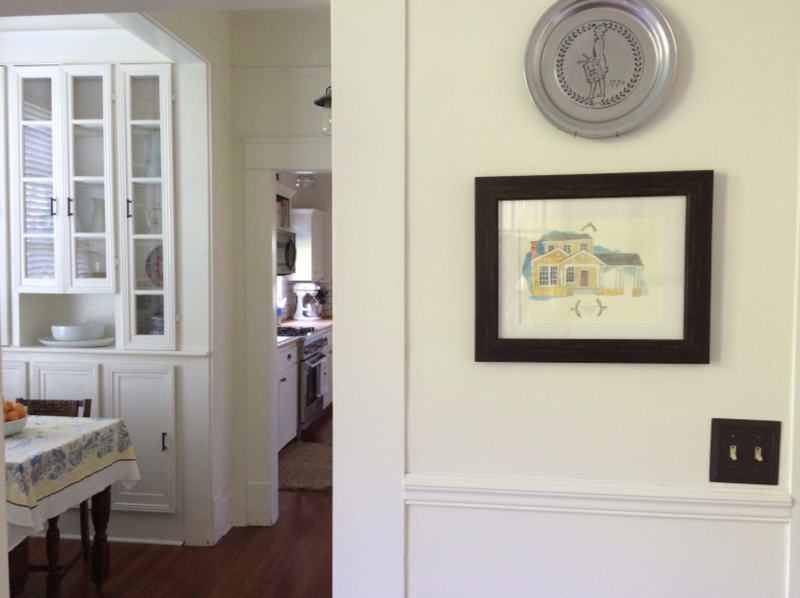 She was excited for us and gave her full approval, essentially passing the torch on quirky house paintings.  So now, we’re happy to pick up where she left off with our newest stationery line, At Home. 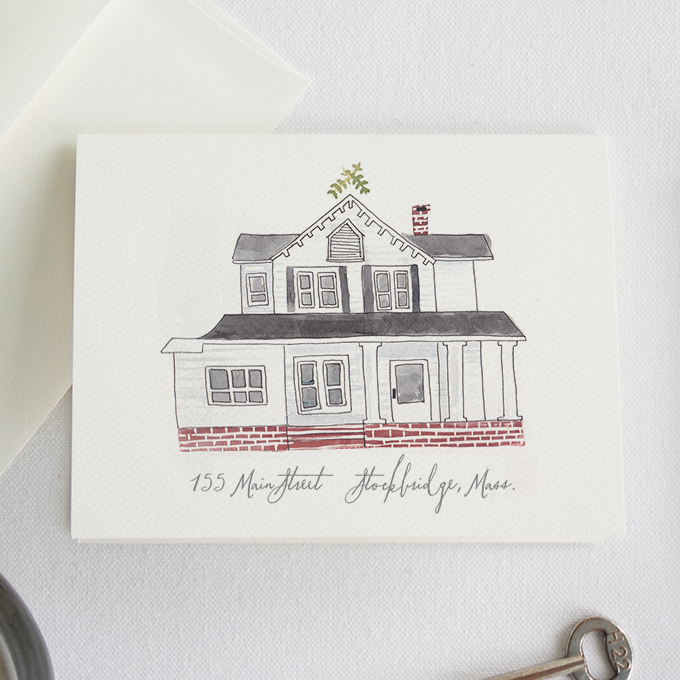 When you order, you receive an 8.5 x 11 print of your house along with the notecards, all on heavy watercolor paper. Follow @luckyluxecouture and @southernweddings on instagram to join in on the At Home promotional giveaway that’s happening for 2 weeks this month! 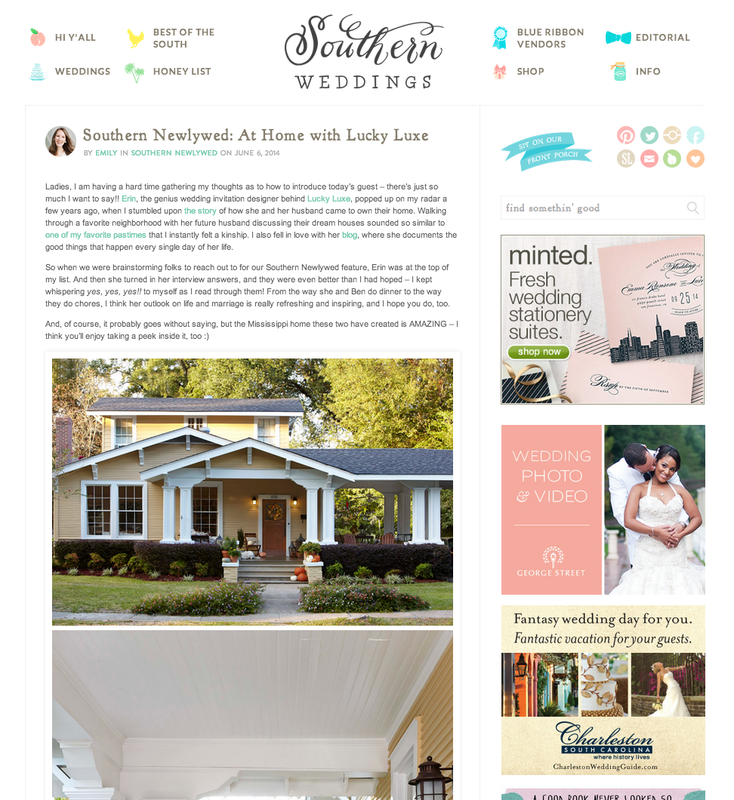 I had a lot of fun answering some super in-depth questions about mine and Ben’s marriage and our thoughts on home style for Southern Weddings, the sister publication to Southern Living. 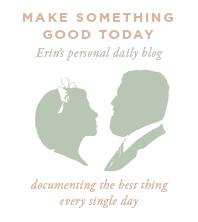 I’m long winded (as you’ll find), but it felt so good to discuss all this stuff and put it in writing.